Crete is a multi-coloured puzzle of mythology, history, proud people, mountains, gorges and the sea. Get to know the hidden Crete, with its hidden gorges, remote mountain summits, steep slopes and the deep sea which surrounds it. Many schools exist for advanced or beginners to get a birds‘ eye view of Crete. Ramble through rough wild landscapes to deserted, serene views. Pass through gorges and mountains, trace the history and civilization of the areas through archaeological ruins, historic monasteries, churches and settlements. Psiloritis (Heraklion/Rethymno), the White Mountains (Chania) and other mountains hide countless organised paths for all abilities. The wonderful country roads, winding through olive groves, bordered by wild flowers and herbs, are ideal not only for sight-seeing but also for amazing experiences for mountain bikers. Bikers can participate in organized tours or individually. If you enjoy sea sports, experience diving in the wonderful underwater world of Crete. For beginners, diving centres operate all over Crete and advanced divers will find exciting places to explore. 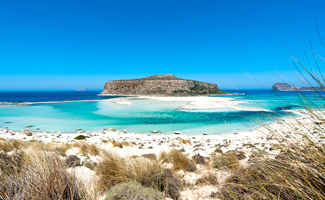 Crete offers many ports, harbours and anchorages. Dinghy sailing and tuition is available on most organised beaches. Day cruises are organised from the main harbours and resorts. Delving deep into Cretan tradition, Agreco, a fairytale traditional farm, has revived centuries-old organic farming practices in a unique expression of Greek ‘philoxenia’, or hospitality. This privately owned 40,000-sq estate is an innovative display of environmentally friendly methods for traditional and modern cultivation and breeding. The estate, a replica of 17th century lodge, features a traditional olive press, a flour water mill, a wine press and a giant vat for treading grapes. The complex includes a church, a village square and store. The farm highlight is the mini-zoo! Guests can experience traditional Cretan life by participating in farm activities, from baking bread and making cheese to pressing grapes or olives and crushing wheat at the antique stone flour mill. Farm tours offered on weekday evenings, guide guests around the estate. Everything grown on the farm ends up in the kitchen, where Agreco’s chef prepares the traditional Cretan dishes featured on the Taverna menu. A large olive tree and vines wrapped around the wooden beams of the pergola shade the stone-laid terrace with the magnificent view of the Cretan coast. The farm is located in the province of Rethymnon next to the village Adele. It is 2 km from the sea and 7km east of Rethymno town. Rethymno’s landmark and its most important monument, built in the late 16th century in order to reinforce the city’s defence. Its dominating position on Paleokastro hill complements that extra charming picture of the city that always seduces visitors. The Archaeological Museum, the most interesting one in the city, is housed in a building located at the Fortezza entrance. 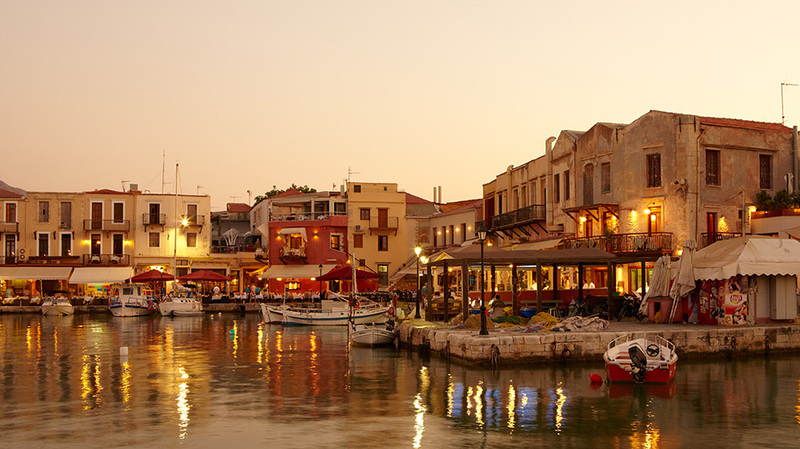 Take a stroll down the cafe-lined cobblestone streets of Rethymno old town. Stop for a drink at “Platanos” square, popular district for locals and visitors alike.